Home » Entertainment » Hollywood » Hollywood Buzz » Lindsay Lohan Sues Grand Theft Auto V! 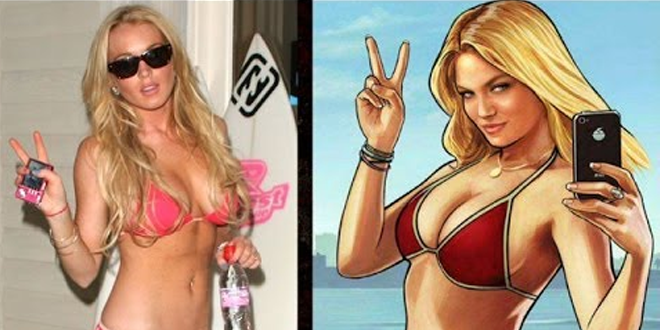 Lindsay Lohan is suing the makers of the Grand Theft Auto V video game over the character Lacey Jones in Grand Theft Auto V that resembles Lindsay Lohan in real life. The actress filed a lawsuit on Wednesday, claiming the latest installment of the hit series used her image and a character based on her without getting Lohan’s permission. The suit argues that Lacey Jonas, a character in the game, is an “unequivocal” reference to Lohan, and that the star’s image, voice and styles from her clothing line are portrayed. Jonas also tries to avoid paparazzi, and the game features the Chateau Marmont in West Hollywood where Lohan has famously stayed. Take-Two Interactive Software and Rockstar Games have declined comment on the lawsuit. Emma Watson on Cover of Marie Claire UK's Feb 2013 Issue! Previous: Peyton Manning of Denver Broncos Thinking of Retirement? Next: Batman V Superman: Dawn of Justice – FIRST PHOTO!